﻿ Bariatric embolization: Does it carry any weight? Obesity has become an epidemic not only in the United States, but throughout the world. More than 1/3 of Americans are now considered obese based on a BMI >30. Recently it was discovered that 1/3 of the world population is either obese or overweight. Obesity is associated with a host of diseases and conditions, including diabetes, heart disease, hypertension, cancer, sleep apnea, venous stasis disease and osteoarthritis. Collectively, obesity-related diseases constitute the fifth-leading cause of death in the United States. Life expectancy is predicted to decrease in the future as a result of the obesity epidemic. Ghrelin is the only known orexigenic, or appetite-stimulating, hormone. Its existence was first reported in 1996; 90% of the hormone is produced in the fundus of the stomach. Ghrelin production increases prior to food intake and decreases after eating. It also increases as a result of chronically reduced food intake, such as dieting. Bawudun et al (2012) described a technique of left gastric embolization using a mixture of bleomycin and lipiodol versus polyvinyl alcohol 500- to 700-micron particles to create weight loss in a canine model without gastric ulceration at 8 weeks. In addition, these researchers demonstrated significant reduction in subcutaneous fat and plasma ghrelin. No human trial so far has reported any major adverse events. Minor adverse events have included superficial gastric ulcerations in the GET LEAN study that have all healed by 30 days. In BEAT OBESITY, 2 patients had minor adverse events, including 1 with transient pancreatitis and 1 with a superficial gastric ulceration that healed by 90 days. Human trials in the United States are part of FDA-supervised IDE studies. All studies require a CT angiogram, a baseline endoscopy and a gastric-emptying study. 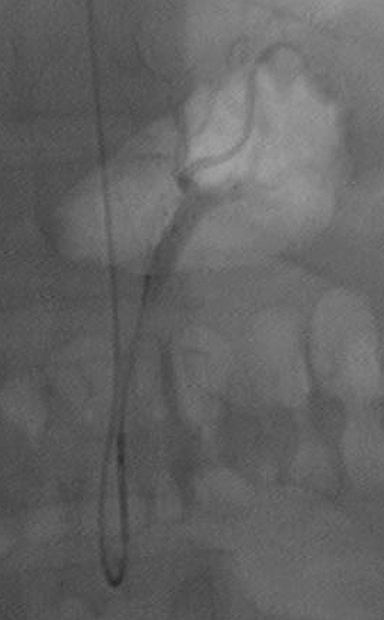 Once normal studies are obtained, the procedure is performed using standard left gastric artery catheterization techniques with microcatheter sub-selection for the actual embolization. Close follow-up exams are then performed for at least 1 year. Future directions include the study of larger patient groups, as well as a randomized controlled trial. The optimal technique in terms of particle size will, hopefully, also be determined by further study. In conclusion, bariatric embolization shows great promise as a potential weapon against obesity. Arepally A, Barnett BP, Patel TH, Howland V, Boston RC, Kraitchman DL, Malayeri AA. Catheter-directed gastric artery chemical embolization suppresses systemic ghrelin levels in porcine model. Radiology. 2008 Oct;249(1):127-33. Arepally A, Barnett BP, Montgomery E, Patel TH. Catheter-directed gastric artery chemical embolization for modulation of systemic ghrelin levels in a porcine model: initial experience. Radiology. 2007;244:138-143. Oklu, R, Gunn, AJ, Hamilton, EJ. A catheter to curb your appetite? A novel observation of weight loss following left gastric artery embolization in humans. Radiological Society of North America Annual Meeting 2013; Dec 1, Session SSA23, Code: SSA23-01. Kipshidze, N, Archvadze, A, Kantaria, M, Konstantine, M, First In-Man study of left gastric artery embolization for weight loss. American College of Cardiology Annual Meeting, 2013, Mar 10, Presentation Number: 1209M-159. Kipshidze, N, Archvadze, A, Kantaria, M, Konstantine, M. Endovascular bariatric embolization: 2 Year follow-up from first in-Man study. American College of Cardiology Annual Meeting, 2015; Mar 15, Presentation Number: 908-06. Syed, MI, et al. 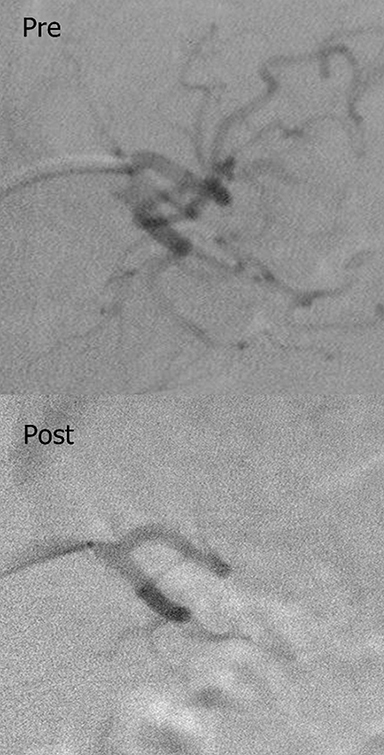 Bariatric embolization for morbid obesity, first western hemisphere experience: Gastric artery embolization trial for lessening appetite nonsurgically (GET LEAN). Radiological Society of North America Annual Meeting 2015, De. 1, Session RC314. Weiss, CR, Paudel, K, Cheskin, LJ, Holly, KH, Fischman, A, Patel, R, Shin, EJ, Steele, K, Moran, DL, Kraitchman, Arepally, A. Bariatric embolization of arteries for the treatment of obesity (BEAT Obesity): Early clinical results. Cardiovascular and Interventional Radiological Society of Europe Annual Meeting, 2015. Session 1406.2. Syed MI, Morar K, Shaikh A. Bariatric embolization: Does it carry any weight?. Appl Radiol. 2016;45(3):30-32. Dr. Syed, Dr. Moral and Dr. Shaikh are with Dayton Interventional Radiology, Dayton, OH. The information in this column is based on research paid for in part by a Pilot Research Grant received from the SIR Foundation.